We know how important it is for our customers to have an internet Wifi line always available. Book on our website and you will have the security of our guaranteed lowest prices. Thanks to its proximity to the station Termini you can easily reach anywhere in the city. Our apartment is equipped with 24h concierge available on 24. At your disposal! It is very important to us that our customers pass an unforgettable stay. We invite you to always leave your feedback so that we can continuously improve our service. 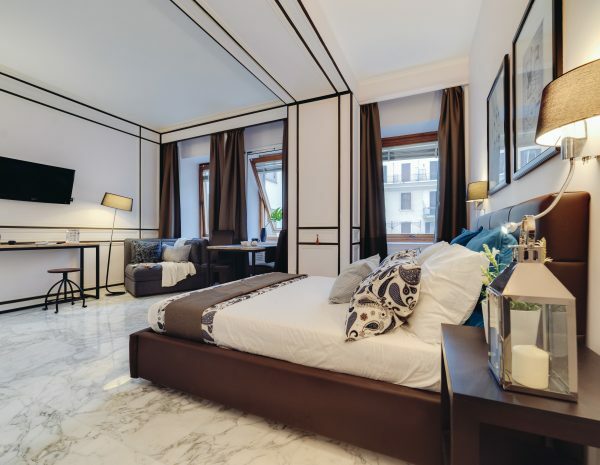 Repubblica Central Suite is a deluxe studio, located in the heart of the Eternal City. 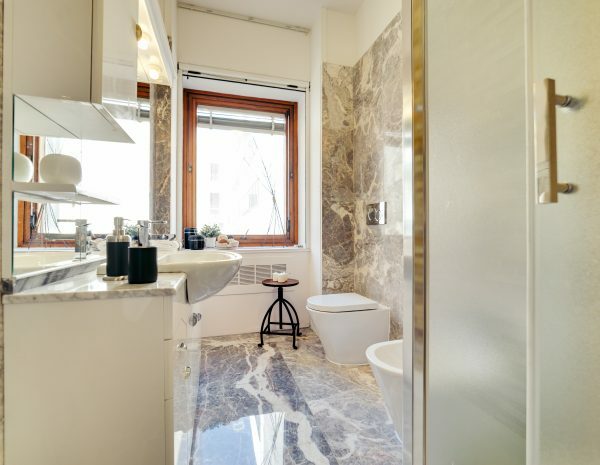 It is located in a building with concierge 24/24, near Piazza della Repubblica and Via Nazionale, strategic centers for both shopping and for the numerous archaeological sites in the vicinity. The Suite consists of a large and comfortable living area, with dining area, working desk and reading area. 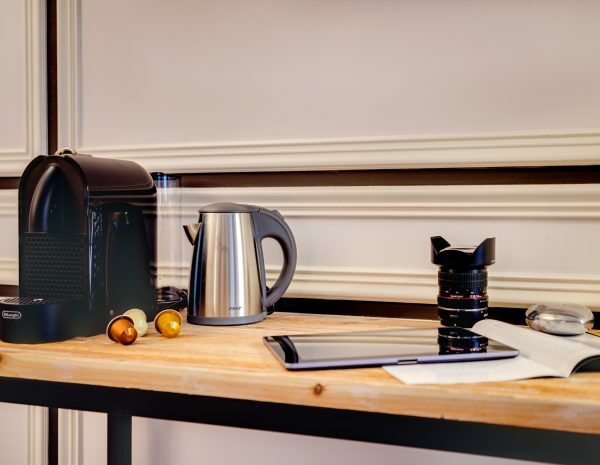 There are all the amenities, including WIFI in Fiber Optics, Nespresso coffee machine, Satellite TV, Washing machine, Toaster, Kettle, Microwave, memory foam mattress, air conditioning. 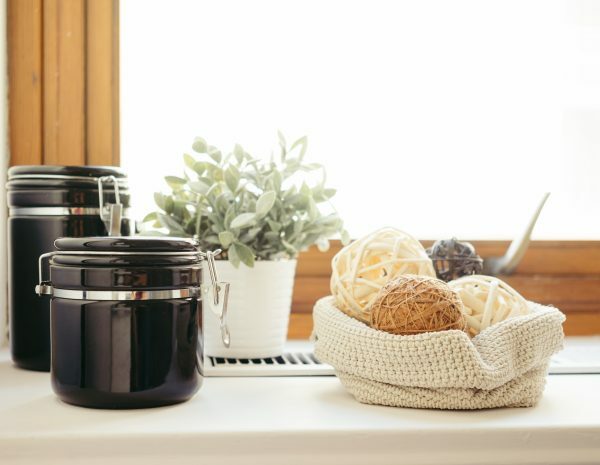 There is a kitchenette, small but complete with everything you need. One of the strengths is finally the bathroom, entirely in Carrara marble, all new with a great shower always available! Inside the building there is a private garage, available upon request and for a fee. We await you with pleasure in Republic Central Suite! 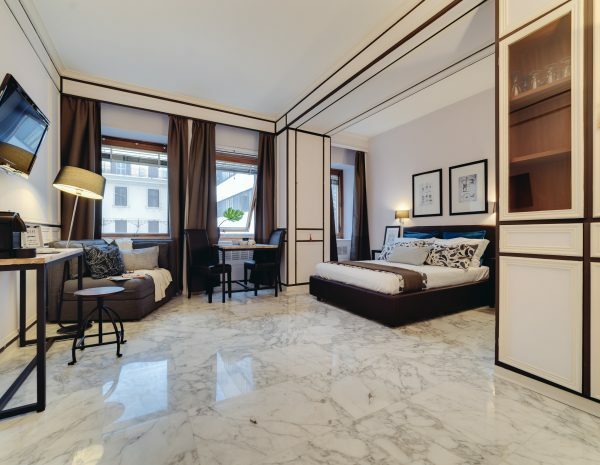 Repubblica Central Suite è un appartamento Deluxe, situato nel cuore della Città Eterna. Si trova in un palazzo con portineria 24/24, nei pressi di Piazza delle Repubblica e Via Nazionale, centri strategici sia per lo shopping, sia per i numerosi siti archeologici presenti nelle vicinanze. La Suite si compone di un'ampia e confortevole zona giorno, con zona pranzo, scrivania per lavorare e zona lettura. Perfetto per 2 persone, ma grazie ad una comoda poltrona letto, può ospitare fino a 3 persone. Ci sono tutti i comfort, quali Internet Wi-Fi in Fibra Ottica, Macchina del Caffè Nespresso, TV Satellitare, Lavatrice, Tostapane, Bollitore, Microonde, materasso in memory foam, aria condizionata. Vi è un angolo cottura, piccolo ma completo di tutto il necessario. Uno dei punti di forza è infine il bagno, interamente in marmo di Carrara, tutto nuovo con una grande doccia sempre a disposizione! All'interno del palazzo è presente un garage privato, disponibile su richiesta e a pagamento. Vi aspettiamo con piacere nella Repubblica Central Suite! Repubblica Central Suite es un apartamento de lujo situado en el corazun de la Ciudad Eterna. Se encuentra en un edificio con conserje 24/24, cerca de la Piazza della Repubblica y de la Via Nazionale, centros estratègicos para ir de compras y de los numerosos sitios arqueolugicos en la zona. 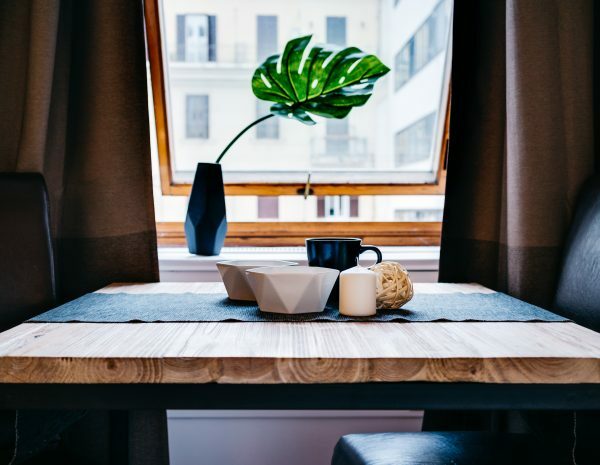 La suite consta de una sala de estar grande y cùmoda, con comedor, escritorio y zona de lectura. Perfecto para 2 personas, pero gracias a un cùmodo sofà cama, que puede alojar hasta 3 personas. Hay todas las comodidades, incluyendo Wi-Fi en fibra ùptica, una màquina de cafÈ Nespresso, TV vÌa satèlite, lavadora, tostadora, cafetera, microondas, colchùn de espuma de memoria, aire acondicionado. Hay una pequeòa cocina, pero completa con todo lo necesario. Uno de los puntos fuertes es, finalmente, el cuarto de baoo, totalmente en màrmol de Carrara, todo nuevo con una gran ducha siempre disponible! En el interior del edificio hay un garaje privado, disponible bajo peticiun y por un suplemento. Esperamos a ver en la Repubblica Central Suite! 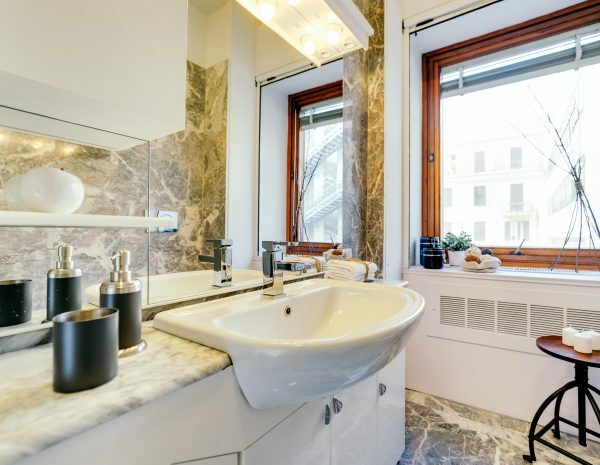 Repubblica Central Suite est un appartement de luxe situè au coeur de la Ville Eternelle. 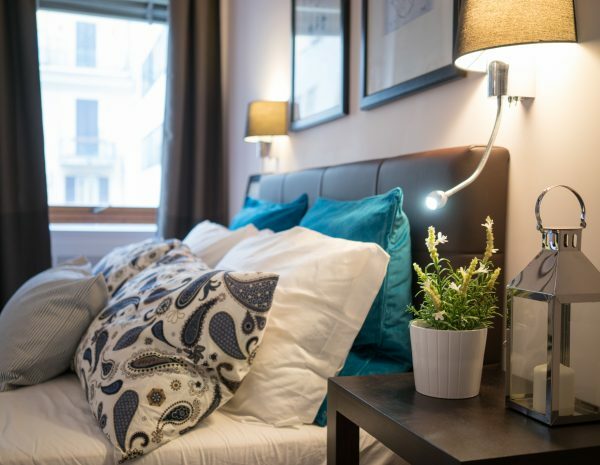 Il est situè dans un immeuble avec concierge 24/24, près de la Piazza della Repubblica et de Via Nazionale, les centres stratègiques pour le shopping et pour les nombreux sites archèologiques dans les environs. La suite se compose d'un grand et confortable salon, avec salle à manger, bureau et coin lecture. Parfait pour 2 personnes, mais gràce à un canapè-lit confortable, il peut accueillir jusqu'à 3 personnes. Il y a toutes les commoditès, y compris le Wi-Fi dans les fibres optiques, une machine à cafè Nespresso, tèlèvision par satellite, lave-linge, grille-pain, bouilloire, micro-ondes, matelas en mousse mèmoire, climatisation. Il y a une kitchenette, petite mais avec tout ce dont vous avez besoin. Un des points forts est enfin la salle de bains, entièrement en marbre de Carrare, tout nouveau avec une grande douche toujours disponible! A l'intèrieur du bàtiment, il y a un garage privè, disponible sur demande et moyennant un supplèment. Nous attendons avec impatience de voir dans la Repubblica Central Suite! Let's keep in touch! Subscribe to the newsletter to receive discounts and promotions! Our stay in Gianluca's appartments was fantastic- highly recommend. It was close to Rome Termini and within walking distance to most attractions. The apartment was beautifully renovated and very clean. We would stay here again next time we are in rome! 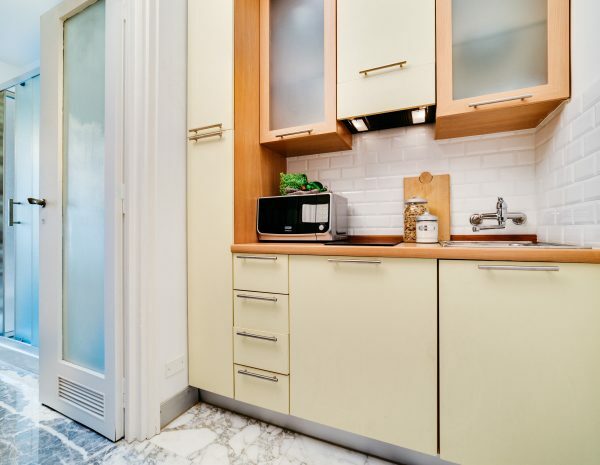 The apartment is located is a fantastic location, walking distance from the main Roma Termini station and situated a stone-throw away from the Repubblica – Teatro Opera metro station. The apartment itself is in a very prestigious building with lawyer offices with a 24/7 concierge and great security. 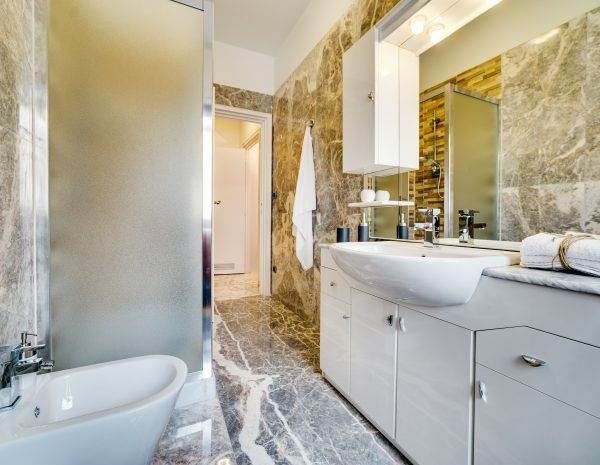 The entire apartment is decked out with marble and all the amenities (small kitchenette, shower, bedding, sofa etc.) are brand new. Gianluca is a great host, waited up late to check us in and had maps and tour books available. I would highly recommend staying at his apartment – thanks for everything! 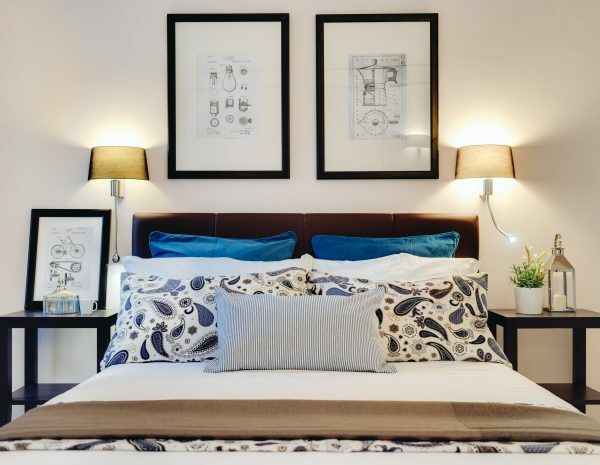 This studio apartment is a dream! Beautiful room with great amenities. Gianluca was a thoughtful host and even left a bottle of wine and some treats for us on arrival. The room is in a guarded apartment block which is very safe and the metro is literally a one minute walk away! We found it very easy to walk around and explore Rome from this location. We will definitely be staying here again. Although we did not meet Gianluca in person, his friend/colleague, Claudia greeted us and helped us settle in. She was friendly, professional, and easily accessible. Hiring a taxi can be daunting in Roma and it was a relief that she booked one for us as we had to catch an early flight. The flat was as described - in a perfect location and quiet, despite being right in the center of town. Suitable up to 3 people. We enjoyed being there. Thanks for your hospitality! The Trevi Fountain is the largest and one of the most famous fountains of Rome; it is also considered one of the most famous fountains in the world. The fountain, designed by Nicola Salvini and lying on a side of the Palazzo Poli was begun in 1732 by Nicola Salvi and completed in 1762 by Giuseppe Panini and belongs to the Late Baroque fountain was built with travertine, marble, plaster, stucco and metal. 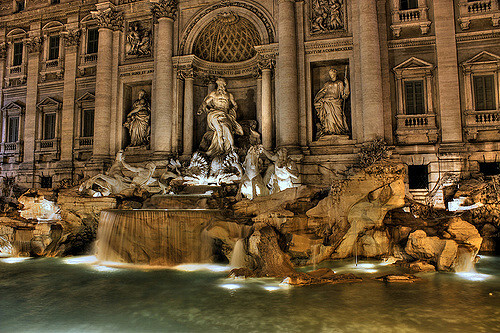 The Trevi Fountain is just 1 KM from the apartment. Extended between the Interior Ministry and the Quirinale an area of over 13 hectares, the Baths of Diocletian are the greatest thermal complex ever built in the Roman world. Built between 298 and 306 A.D., the Baths were transformed since 1562 by Michelangelo who designed the Basilica of St. Mary of the Angels and the Martyrs and Christians gave rise to the creation of the Chartreuse occupying many other environments. The complex consisted of a large outdoor enclosure with the main entrance on the axis of Via Gaeta; this corresponded, on the opposite side, with a huge semicircular tiers, perhaps used for plays, modeled by Koch in the implementation of Republic Square, known just as the Piazza Esedra. 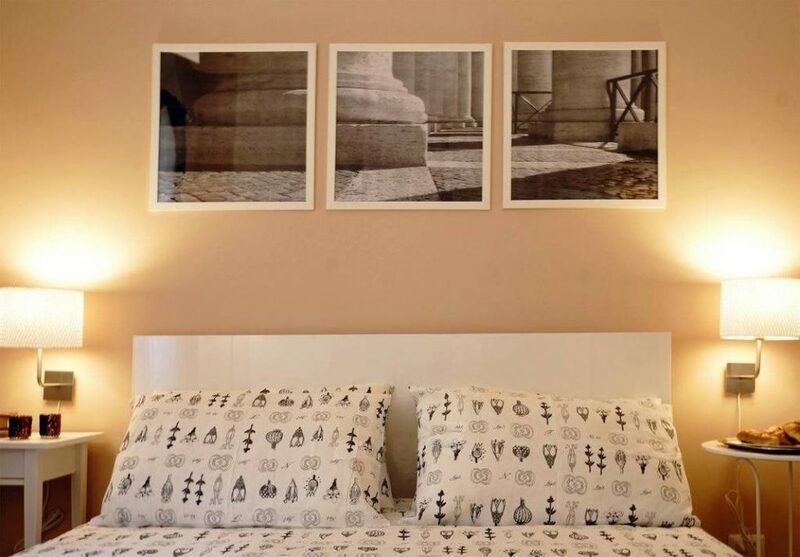 Vatican Rome Apartment is a Deluxe Suite, completely renovated in July 2015. It’s at the third floor (with elevator) of a nice building, with private balcuny, located at 100mt from "CIPRO" Metro Station and 600mt from Vatican Museum and St. Peter's Basilica. Termini Train Station it's at 10 minutes distance using Underground, just 7 stops. 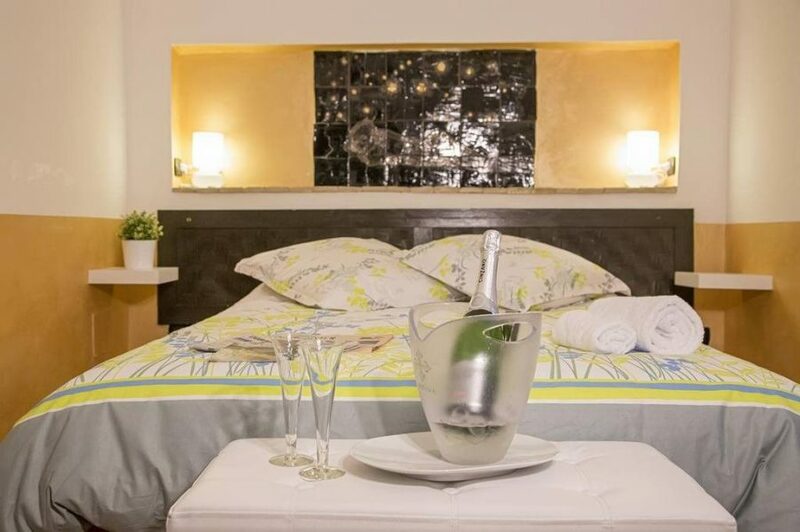 This 60 square meters property (suitable up to 4 people) is composed by a big Living Room with a comfortable Sofà Bed, a fully equipped Kitchen with Induction hob, DishWasher, Micro-oven, Kettle, Toaster and Nespresso Coffee Machine, One double Bedrooms with Queen-Size Bed and one design Bathroom finely furnished. Air conditioning is present in all the property. 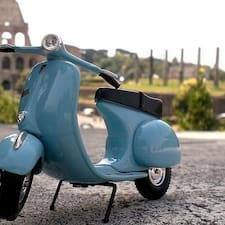 Free wi-fi is available.Location is likewise amazing, since the apartment it's in the heart of "Prati" neighborhood, the most chic & classy in the Eternal City, full of groovy Restaurants, Clubs, Bar and Disco! Apartment it's extremely close and easily reachable to Vatican City and Vatican Museums as well, so it’s also perfect for the Jubilee!
" 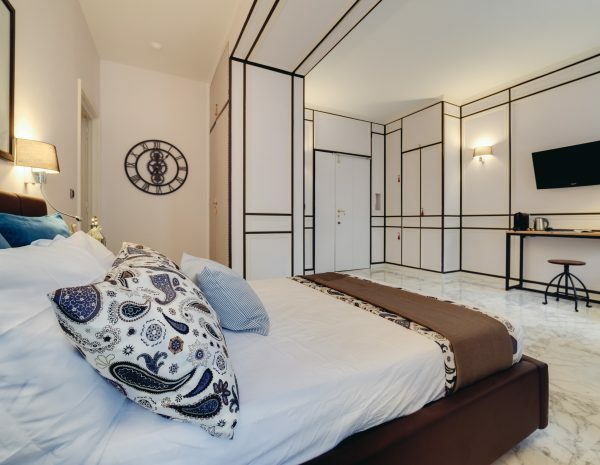 Coliseum Rome Apartments" is a complex of 2 apartments, situated in the historical center of Rome. The Basilica of Santa Maria Maggiore is 200 meters away. 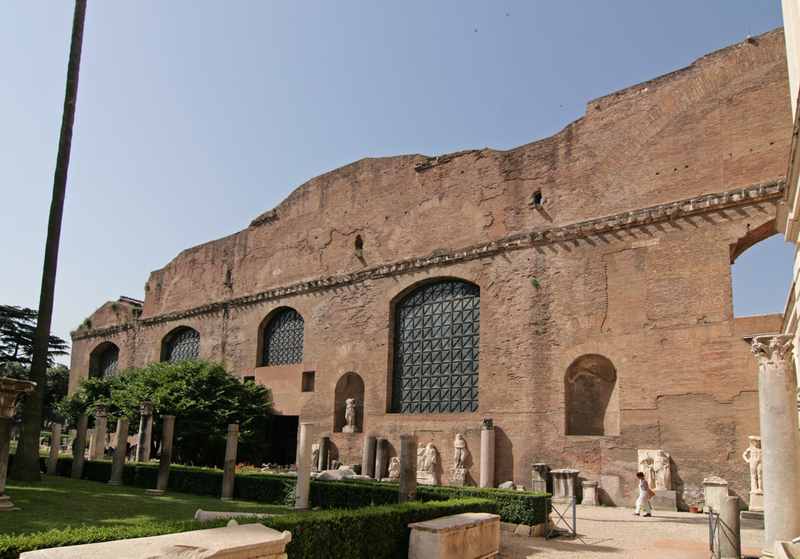 The Domus Aurea is 500 meters. Extremely close to both metro lines (Line "A" to 400mt and Line "B" at 300 meters). All apartments have air conditioning, large dining area, lounge area with flat-screen satellite TV. It features a kitchen, equipped with microwave. toaster, kettle, Nespresso coffee machine with Italian Organic waffles. Linens and towels are of course provided and changed regularly. Possibility of on-site bicycle storage. Upon request we offer private shuttle service to and from the main airports and railway stations and ports.